Set against the scenic backdrop of the famous James River in Lynchburg, Virgina, Lynchstock number six kicked off a little gloomy with overcast skies. Nonetheless, residents of this medium sized college town showed up to support the growing local music scene despite the warning of rain. Being a rain or shine event, the bands played on and were rewarded for their dedication. A few slivers of sunlight striped across the sky until the sun fully flared upon the rapidly growing audience. People flooded in to see their favorite artists perform on any of three stages. Two bands would simultaneously play on either one of the two smaller stages, while another band would play a set on the largest stage once the other two had finished. This cycle repeated for the majority of the event, keeping the flow of the festival smooth and consistent, music always echoing off the many historic lofts across the street. Local favorites, such as Wesley Montgomery (a former solo upbeat guitar act turned three man band) and Oceanic (a four man lineup with a sort of raw and untamed performance, in the best of ways) got the audience really warmed up. 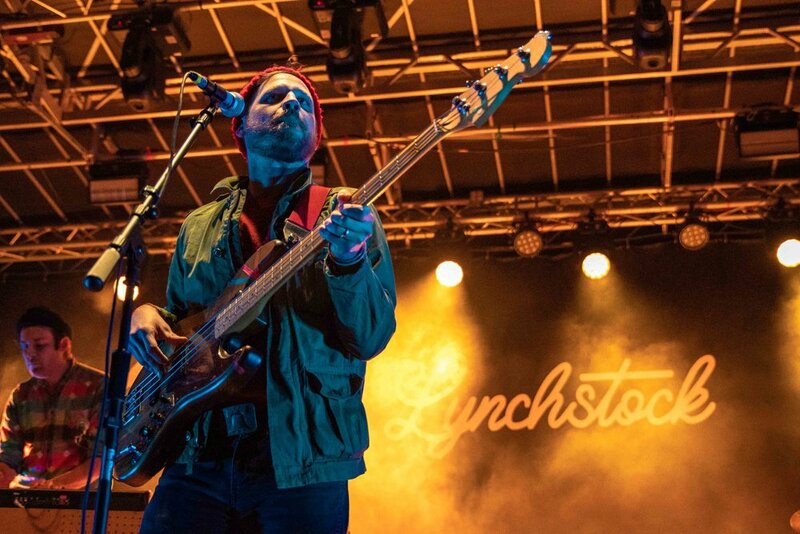 A great aspect of Lynchstock is the variety of performances throughout the event. Cover bands like Tony Camm and the Funk Allstars got the crowd grooving to the funk while Firecracker Jam had everyone clapping and foot tapping along to their fast paced folk-rock sound. As the sun finally crept below the cityscape, other notable bands such as the potent and more experimental Good Dog Nigel, and hometown celebrities Vacation Manor (lending their pop-rock radio sound) continued jamming leading up to the main stage headliners of Coin and Dr. Dog! 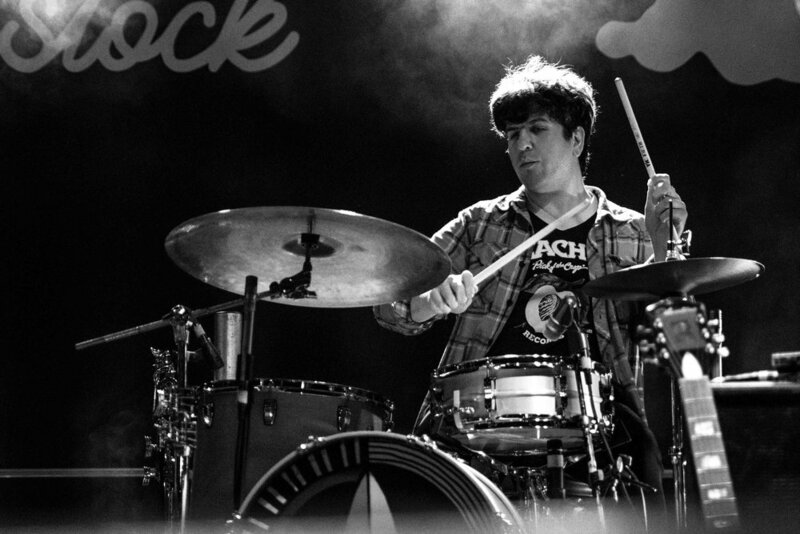 The distinctive trait of an outstanding artist or band is their ability to perform consistent or superior when playing live, and wow did both of these bands impress! As each band member of Coin, one by gradual one, strolled onto stage to picked up their instruments, the crowd erupted with adoration. Opening with “Simple Romance,” they initiated the performance the whole town had been anticipating for weeks. Other fan favorites such as “Hannah” and the outlandishly catchy smash hit single “Talk Too Much” followed, to much celebration! Dr. Dog took the stage after a short hiatus to wrap up the festival. The bands Midwestern, melancholic sound is incredibly unique and definitely worth checking out. I actually wasn’t too familiar with Dr. Dog, but found myself listening to their music on the way home. An amazing quality both headling bands portrayed was their genuine interest in playing to our relatively small town, a humbleness that not all bands show. I’m amazed by the accomplishments of the local and rapidly growing music scene in my hometown of Lynchburg and I can’t wait to see the progress of Lynchstock in the years to come.